MobileDiagnost wDR is our premium mobile digital radiography system. We’ve packed the quality and efficiency you find in our premium DR rooms into this flexible mobile X-ray system. The system’s latest feature is SkyFlow, the scatter correction algorithm for portable thorax X-rays. You get grid-free imaging with grid-like quality. Without the inconvenience of an anti-scatter grid, you can work fast and freely, avoiding the time and effort associated with attaching and detaching a grid. SkyFlow requires no operator input. The technology is fully automatic, patient adaptive, and works without special consideration. You can devote your attention to your patients, shorten their exam times, and position them comfortably. Additionally, by eliminating the grid, you eliminate retakes caused by grid misalignment. You will not sacrifice image quality. SkyFlow provides contrast enhancement that automatically adapts to the patient, resulting in an image impression almost indiscernible from an image acquired with a grid. Using SkyFlow, technologists at St. Lucas Andreas Hospital, Amsterdam have been able to shorten exam times without sacrificing image quality. They experience ‘grid-like’ image contrast without the hassle of a grid. Our whitepaper titled, "Grid-like contrast enhancement for bedside chest radiographs acquired without anti-scatter grid" explores the tangible benefits realized through the use of SkyFlow. 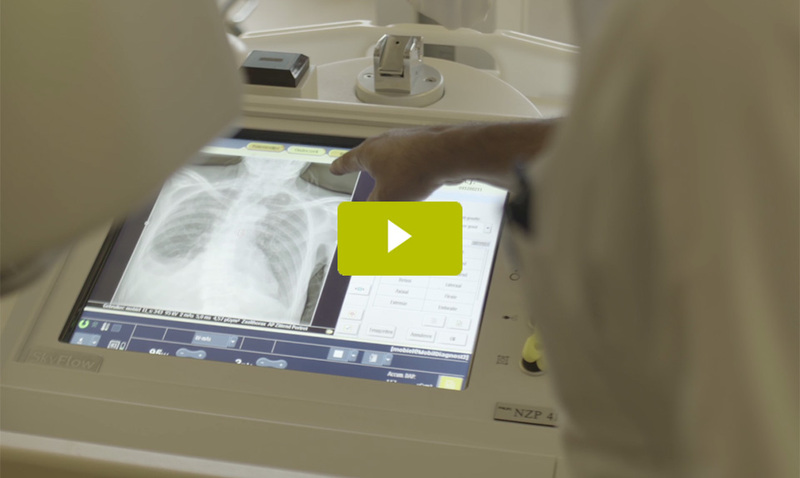 Learn how radiographers enjoy an average time savings of nearly 34 seconds per chest exam. Be sure to download your complimentary copy today.